‘Stories Volume I’ is a collection of Indian based stories written by Sri Chinmoy. 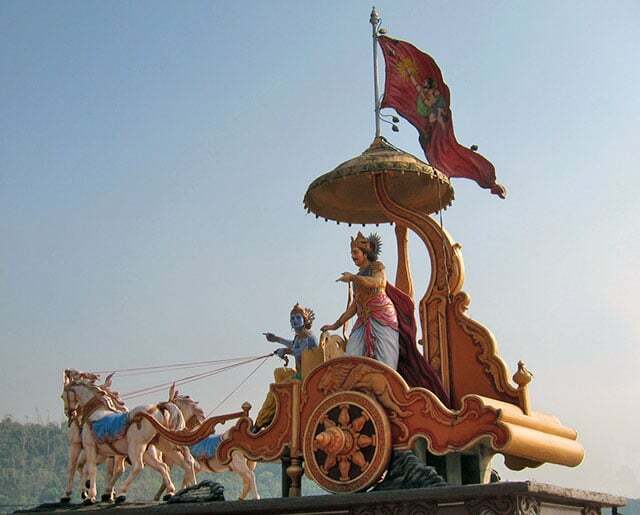 In many cases, they are based on traditional Indian stories from the age of the Mahabharata and Puranas. It also includes stories about the Moghul Emperors, and great Indian spiritual Masters of the recent past, such as Lahiri Mahasaya and Troilanga Swami. The stories are told with great simplicity and directness, but at the same time contain profound spiritual lessons. In recent years, I have tried to get into the Mahabharata, but have often found it difficult due to the sheer volume and complexity of the stories (plus a never ending list of characters with difficult names!). This collection of short stories is a very good way to gain an insight into some of the main characters, such as Sri Krishna and Arjuna. After reading this collection, I now have a bit more confidence to delve into other Indian spiritual classics. I would recommend this book as a very good introduction for those seeking to gain an accessible insight into the spiritual history of India. Perhaps my favourite section is stories about some of the less well-known Indian spiritual Masters, such as Bama Kshepa, Swami Nigamananda and Bhaskarananda. 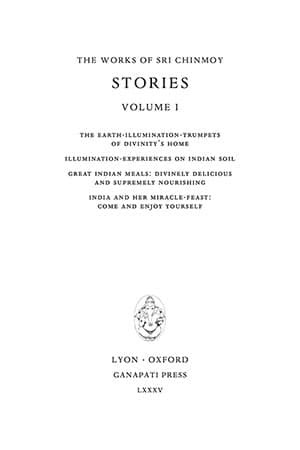 These stories are in the section towards the end – “India and Her miracle feast: come and enjoy yourself“. For spiritual seekers, these stories are both enjoyable to read and instructive. Though, the strictness of some Indian spiritual Masters makes you grateful you are reading from a distance – and not meditating through the night, trying to stay awake! But, the lessons these stories teach, we can definitely take into our own lives if we choose. The hardback book is very good quality. With the book in your hands, you feel like you a reading a real spiritual classic. It is also great value – 26 books for £30. The diversity and extent of stories, from Akbar and Sri Krishna to Bhaskarananda and Gambhirananda, makes it a real treasure trove for anyone wishing to dip into the spiritual legacy of India. I read it once, it is book with such lovely and poignant stories. This review inspired me to read it again, thank you.